1000' Paracord 550-lb Spool - Woodland Camo | BUDK.com - Knives & Swords At The Lowest Prices! Our Black Savage Paracord is 1000' of pure muscle! You can bet it will hold its 550-lb rating and will look good doing it. 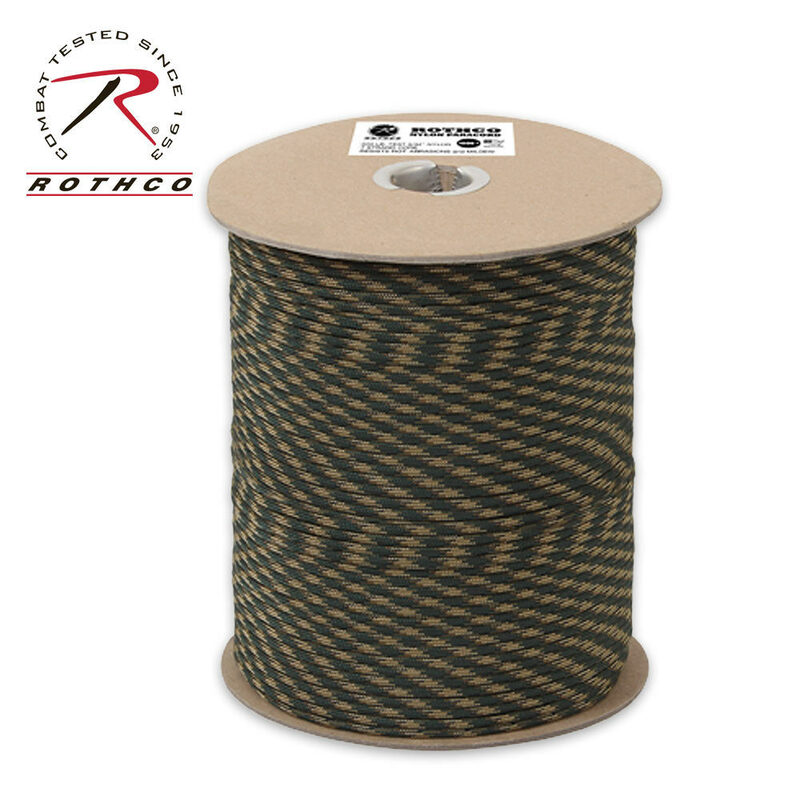 This Type III paracord is constructed of 100 percent nylon with an impressive seven-strand core. You won't find tougher cord anywhere.